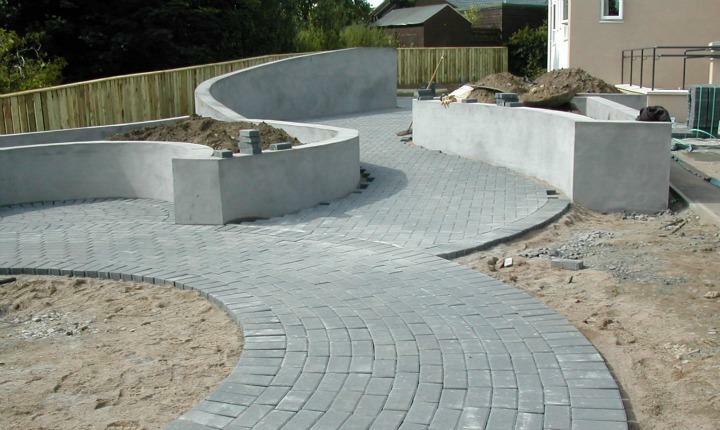 This sensory garden features curves which flow through the garden space incorporating various areas in the garden to sit quietly or join together in small groups. 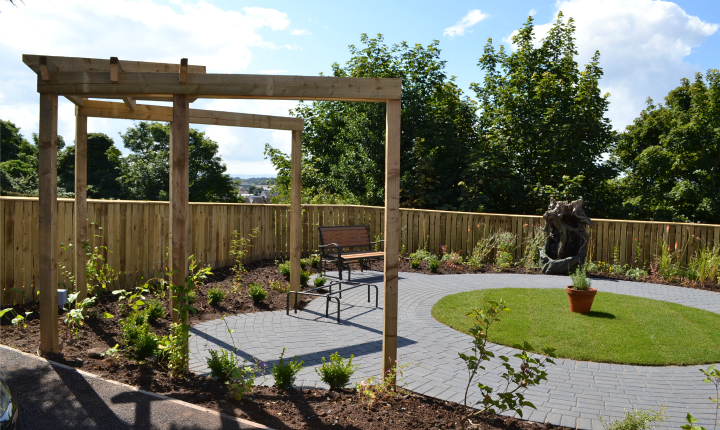 A sensory garden is designed to provide individual and combined sensory opportunities, such that they may not normally experience. Sensory gardens devote themselves to providing experience for multiple senses and the design and layout provides a stimulating journey through the senses, heightening awareness, and bringing positive experiences. Quiet places to sit either individually or in small groups. 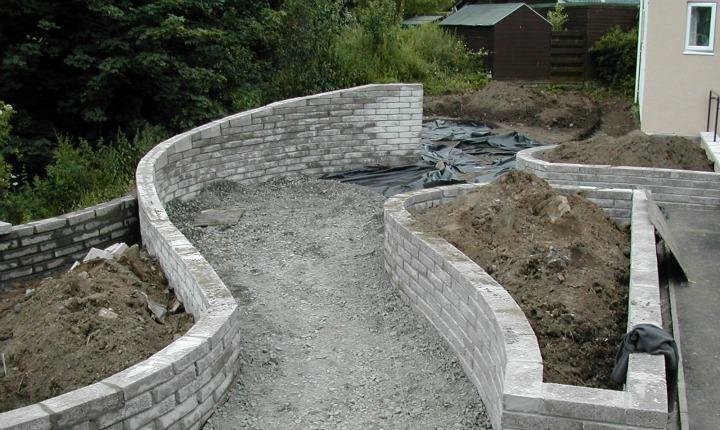 Shaped walls and pergolas create privacy and shelter to the garden. Carefully chosen planting injects colour, texture and scents into the outdoor space. 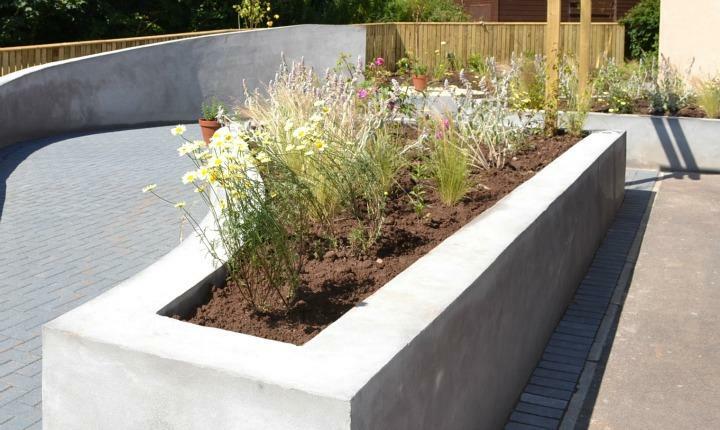 Low level planters allow easy access and encourage planting and involvement by all in the garden. 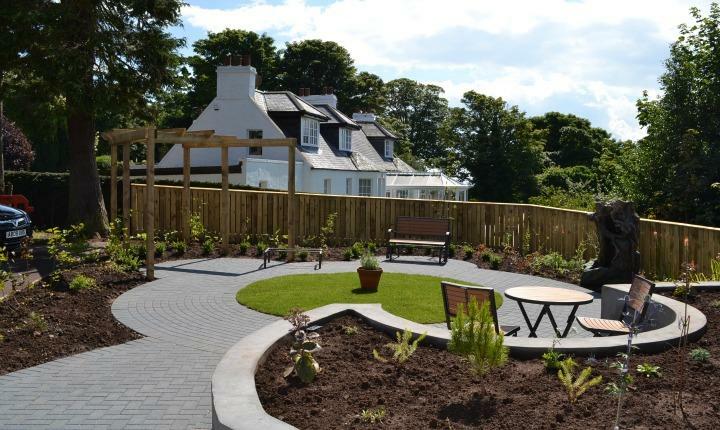 The design includes various features throughout the garden including bird feeders and a water feature, bringing additional positive elements to the garden. Timber pergolas add softness to the garden and will later burst with colour and scent when climbers grow and flourish. 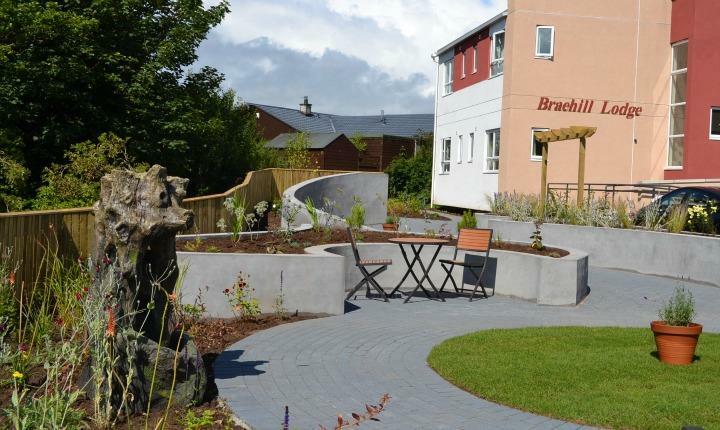 A water feature was provided by the care home and not only provides a focal point but the sound of soft flowing water instils calm and tranquillity. 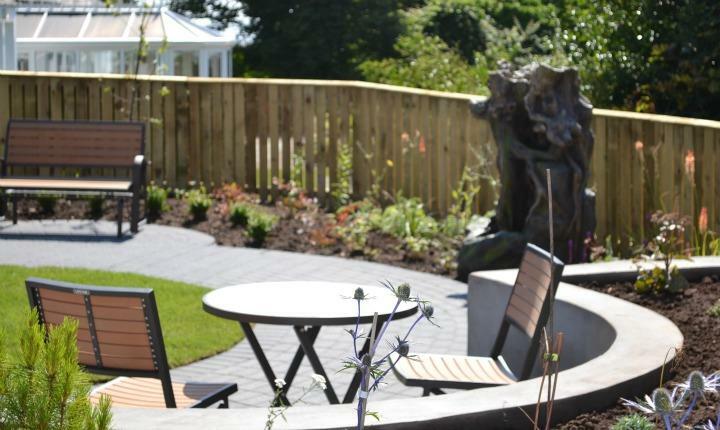 Seating and pots are being introduced providing the finishing touches to this attractive yet functional garden for residents, staff and visitors to enjoy. The planting provides a mix of colour, scents and structure to the garden to enlighten the senses. It has all you would expect in a sensory garden, there is scent from the roses, jasmine, lavender and honeysuckle, there is great texture with irresistibly tactile herbaceous plants and grasses, and of course an abundance of summer colour. In the care home setting it is important that discreet plantings really mark the seasons. So we have a bank of rhododendrons and alpines for spring, followed by a lilac hedge, then the bright and cheerful summer herbaceous border. Late summer has a bold drift of Echinacea under the arbour, and autumn colour comes from the trees and the plumes of the pampas grass which will glow in the low autumnal light. We also accommodated two plant requests from the residents: pampas grass and buddleia. We used three of the new dwarf Buddleia in the alpine bed and planted a whole bank of Pampas grass around the circular patio. If you are going to use pampas grass you have to be bold – not the lone pampas in a lawn scenario for the residents at Braehill! 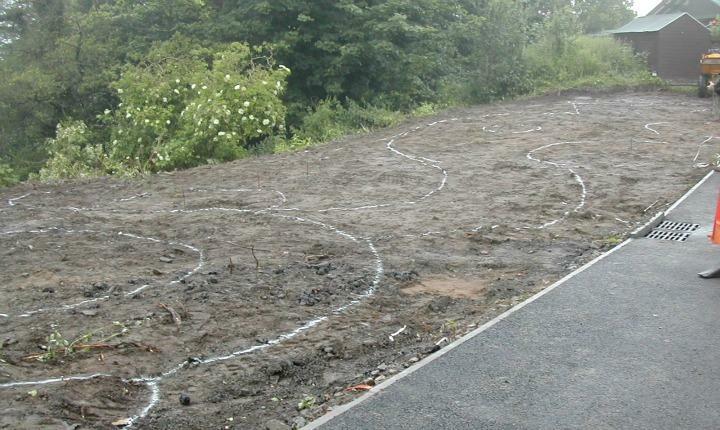 Visit our dedicated sensory gardens page for more information about designing your own sensory-rich garden.